Check out Tobi's Into You Ruffle Top Maxi Dress Catching feelings in the Wine Into You Ruffle Top Maxi Dress. 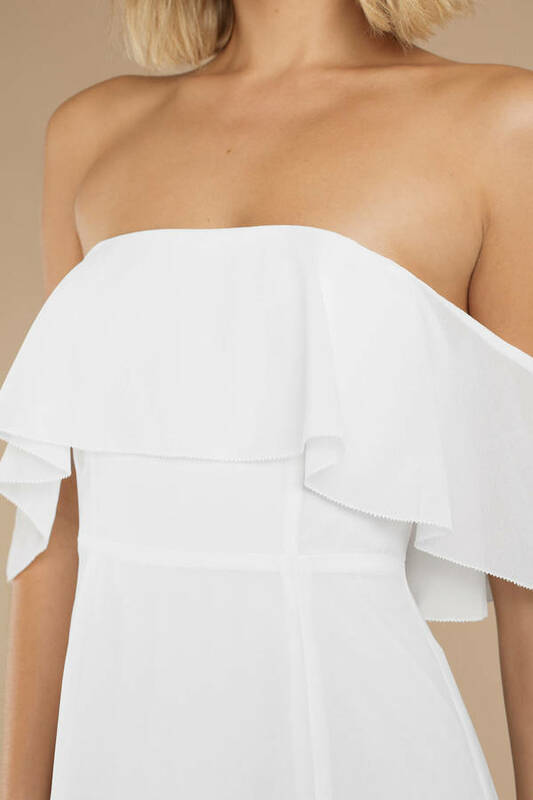 You've met your perfect match for the evening in this off the shoulder long gown with a beautifully fitted ruffle bodice and memorable high front slits. Looks flawless at fancy formals and extravagant parties. 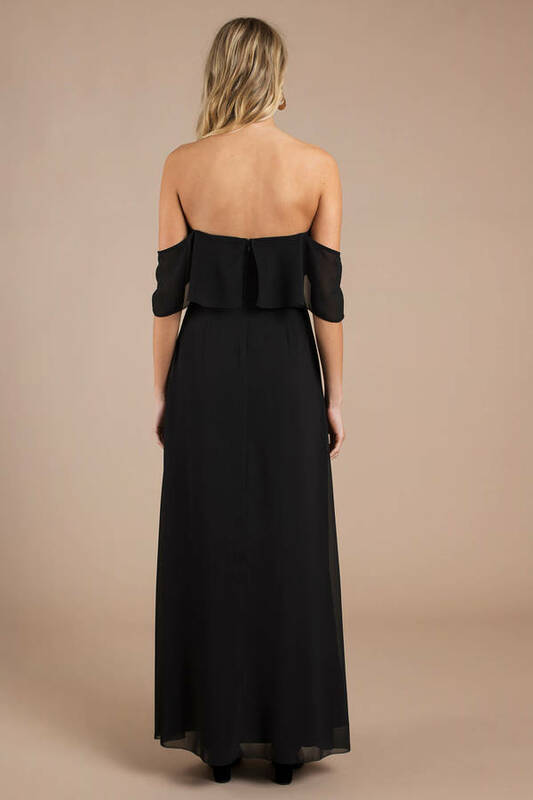 Catching feelings in the Black Into You Ruffle Top Maxi Dress. You've met your perfect match for the evening in this off the shoulder long gown with a beautifully fitted ruffle bodice and memorable high front slits. Looks flawless at fancy formals and extravagant parties. Catching feelings in the Mauve Into You Ruffle Top Maxi Dress. You've met your perfect match for the evening in this off the shoulder long gown with a beautifully fitted ruffle bodice and memorable high front slits. Looks flawless at fancy formals and extravagant parties. Catching feelings in the Ivory Into You Ruffle Top Maxi Dress. 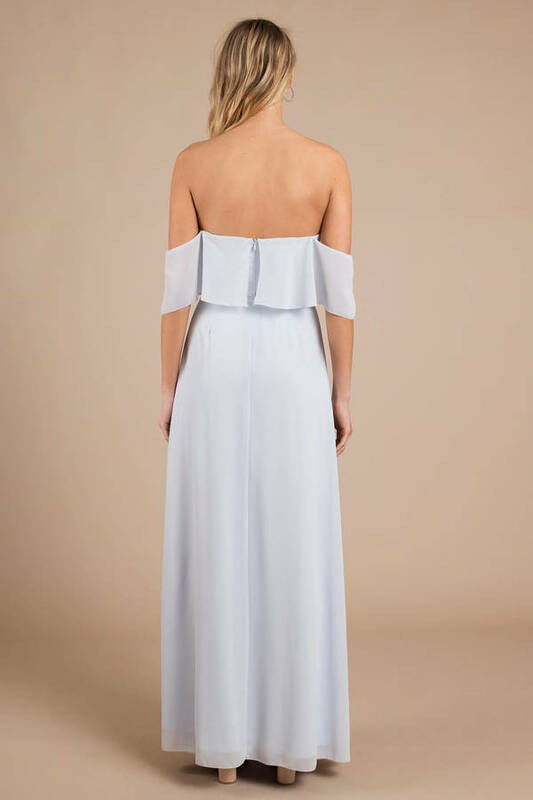 You've met your perfect match for the evening in this off the shoulder long gown with a beautifully fitted ruffle bodice and memorable high front slits. Looks flawless at fancy formals and extravagant parties. Catching feelings in the Wine Into You Ruffle Top Maxi Dress. 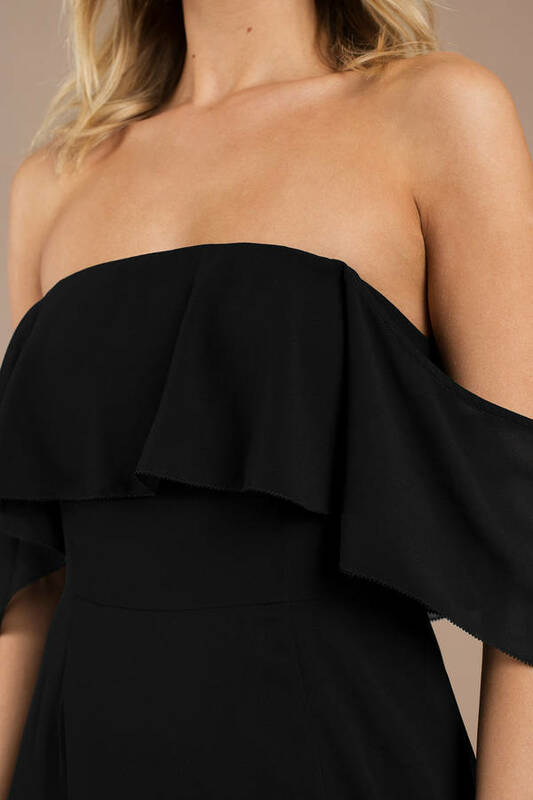 You've met your perfect match for the evening in this off the shoulder long gown with a beautifully fitted ruffle bodice and memorable high front slits. Looks flawless at fancy formals and extravagant parties. 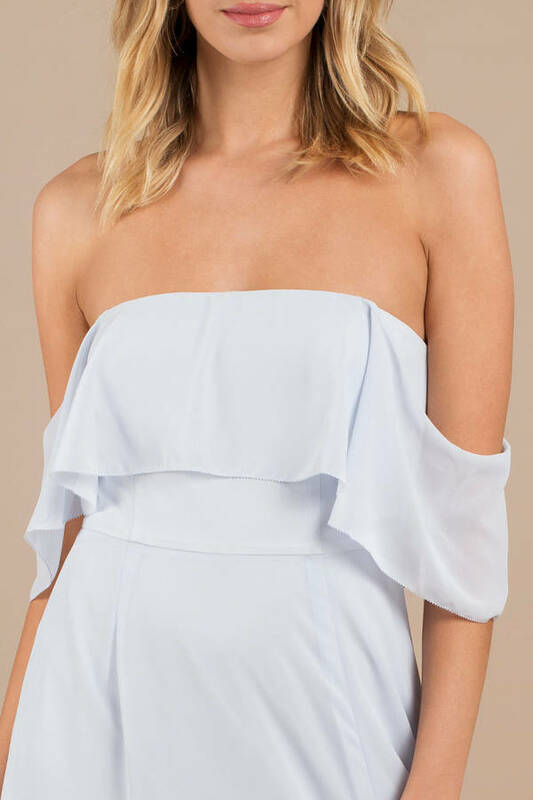 Catching feelings in the Light Blue Into You Ruffle Top Maxi Dress. 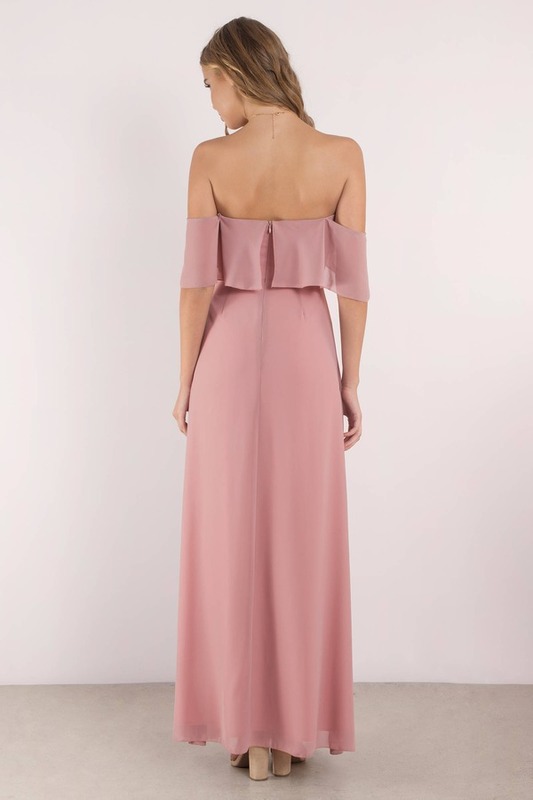 You've met your perfect match for the evening in this off the shoulder long gown with a beautifully fitted ruffle bodice and memorable high front slits. Looks flawless at fancy formals and extravagant parties. Catching feelings in the Dusty Purple Into You Ruffle Top Maxi Dress. 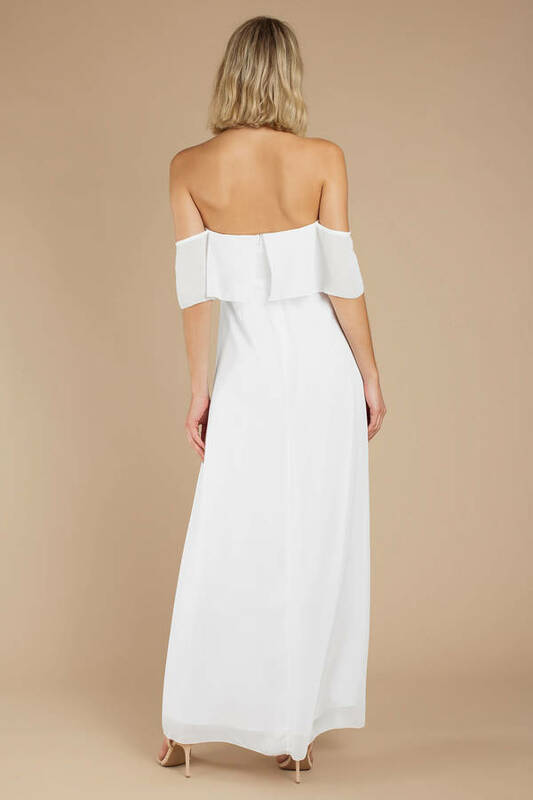 You've met your perfect match for the evening in this off the shoulder long gown with a beautifully fitted ruffle bodice and memorable high front slits. Looks flawless at fancy formals and extravagant parties. Black, Ivory, Light Blue, Mauve, Slate, Wine modeled on a size Small. Dusty Purple modeled on a size Small.